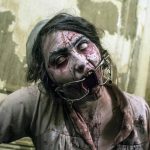 Team Crypt Creepers reviewed this attraction on May 13, 2016. 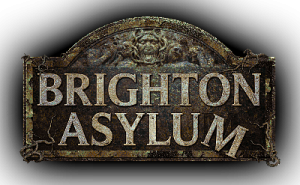 Hold onto your giant baggy pants, ‘cuz Brighton Asylum’s special event, “Clown Asylum,” goes for the juggler (yup, clown puns). 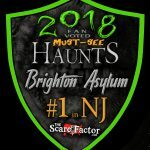 This off-season haunt is the last one for Brighton before they go into their normal haunt season and they ended with a bang… as well as a few Boinks. Before they revamp and undergo what they are calling a major overhaul of the haunt, Brighton Asylum threw together this last hurrah for their haunt, which has been using some rooms and scenes for about 5 years now. But before they switch things up, they let a band of killer clowns have their run of the place, and they were no joke. From creepy and funny, to dark and twisted, there were a variety of creeps among the constant theme. They even utilized a special protection feature; those who wanted to spend a night with friends (but didn’t want to enter the haunt itself) could get a “safety balloon” where the clowns would keep their distance and not scare the banana cream pie out of you. This was an optional touch event, which allowed the guests to decide if they wanted their scares to be a little more “interactive” than normal. 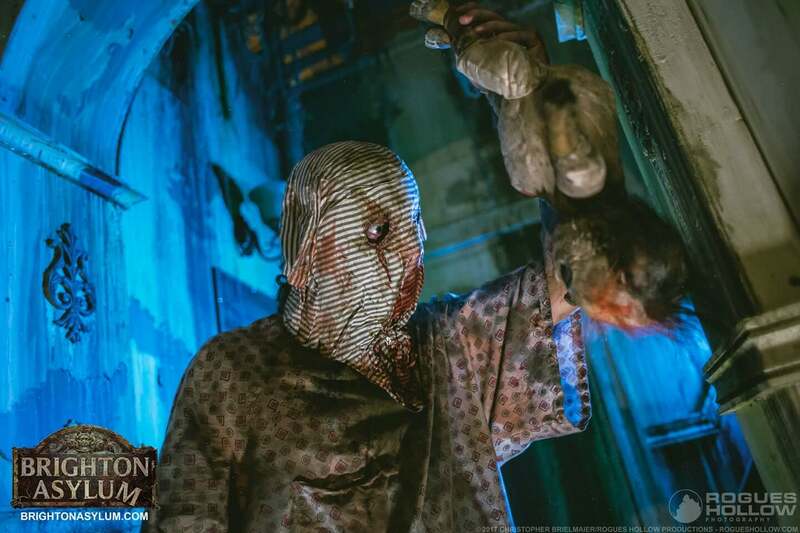 If you are bozo enough to enter this haunt, be ready for a clown-car full of scares and laughs! The cast at this haunt definitely know how to clown around, but in the very best sense of the phrase. From happy-go-lucky to grim and menacing, there was a nice diversity to the types of clowns inside. Even a few cameos from some well-known painted faces. Each one stayed in character and were very interactive with the guests. Since it was a “touch night,” the clowns were allowed to touch, tap, grab and separate guests from each other, and they definitely took advantage of that. They took a particular interest to Holly and her hair, which added a fun and creepy aspect to our walkthrough. 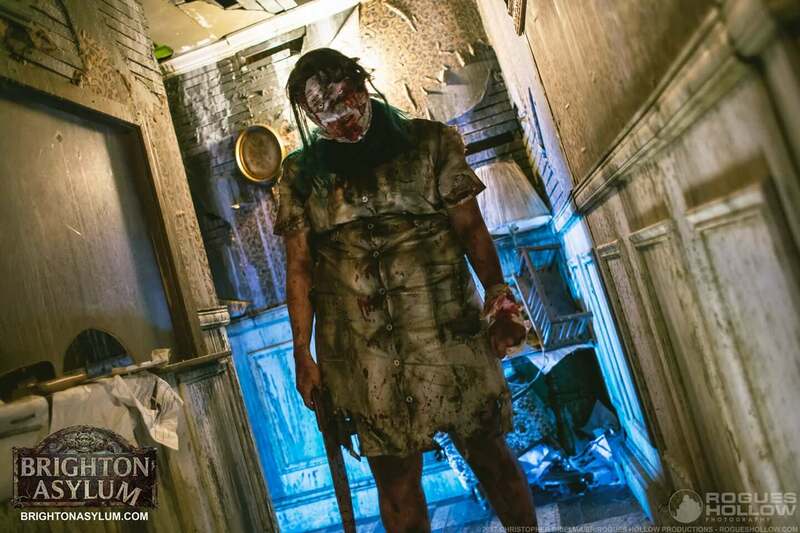 The actors know their way around the haunt, and use multiple hidey-holes and boo doors to get guests multiple times. There were only a small handful of rooms that did not have visible actors, but this is an off-season haunt, and any room without an actor in it at least had animatronics or something to scare the guests. Most of the clowns tailored their dialogue to the guests, commenting on clothes, looks, hair, or how scared they seemed. Well, the elaborate and sophisticated palette of…THEY WERE CLOWNS! CLOWNS EVERYWHERE! There were brightly colored clowns with baggy clothes and bubbly personalities, as well as grimly dark colored clowns draped in what could best be described as looming death. The makeup varied and hardly were there two similar looking faces. And a very limited use of masks made it so that you could see these Deadly Doinks’ expressions as they threatened your life. The fact that it was “Clown Asylum” helps tie the clown characters to their asylum-esque rooms. The staff here were extremely professional, friendly, and helpful! The non-character staff were not only knowledgeable, but worked multiple positions. Two of the makeup artist were helping guide the lines and collect “touch necklaces” from exiting guests, as well as talk to guests about their experience and answering questions that they may have had. 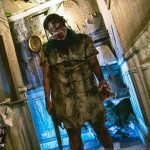 They were willing to go out of their way to give guests a more personalized experience; some even went as far as to help a guest propose to his girlfriend inside the haunt the night we were there! The haunt itself was a bit difficult to find if you do not know where you are going. It is only two or so blocks away from a major street, but it is in a warehouse area which is dimly lit and similar to something out of an actual horror movie, which aesthetically has its plusses, but makes it a little difficult for guests to locate. Once you get there, though, there are attendants to help guide you to a parking spot and then to the outside of the haunt. The ticket booth is a short walk away from the parking lot and the queue starts right next to that. There were 2-3 clowns wandering the queue with various props to keep the guests entertained while they waited. The haunt was pretty safe with no real dangers. Possibly the most dangerous thing there was a ball pit room, which had the potential to trip someone up. However, there were rails to help people navigate their way through it safely as well as an actor scaring/guiding people and making sure they successfully traversed the beloved (yet treacherous) ball pit of doom. Sadly, this haunt is not exactly handicap friendly. There are stairs, ball pits, and inflatable tunnels, which would make getting things like a wheelchair through difficult. [Editor’s Note: The owner has informed us that there are bypass hallways, which allow wheelchairs to get around these obstacles safely, and that handicapped customers are escorted through the attraction to ensure their safety and that of others.] There is free parking and the staff members even help you find a spot close to the haunt. Also, there are port-a-potties for guests to use, if they haven’t already gone in their pants. In previous visits, there was an indoor line with sounds, actors, and even a photo op. They, instead, filled that space with even more rooms for the haunt! The downside to this is that the pre-haunt setup doesn’t give the guests much to work with. The haunt is inside a warehouse, so that is what you see when you arrive. It was dark, isolated and creepy, so that did help give a sense of dread or suspense. Other than that and some wandering clowns, you can’t really tell that you are at a haunt, but it’s a small trade-off for getting extra rooms inside the haunt. This haunt had some really cool special effects that I personally haven’t seen often in other haunts. A ball pit room, a mini slide, at least three big puppets/animatronics, as well as a few old favorites. The sound effects fit the rooms they were used in, and the visual special effects definitely did their job in either scaring the guests or being enough of a distraction to set up the actor in the room for a good scare. The amount of detail in each room was spectacular! The coloration of the walls really gave the feel of a run-down asylum and the small details really immersed you into each scene. Some of the effects were subtle enough to give the guests a sense of “did that thing just move?” while others made you think the ceiling was going to fall on your head or that a giant demon was reaching over a wall to send your soul to clown hell! 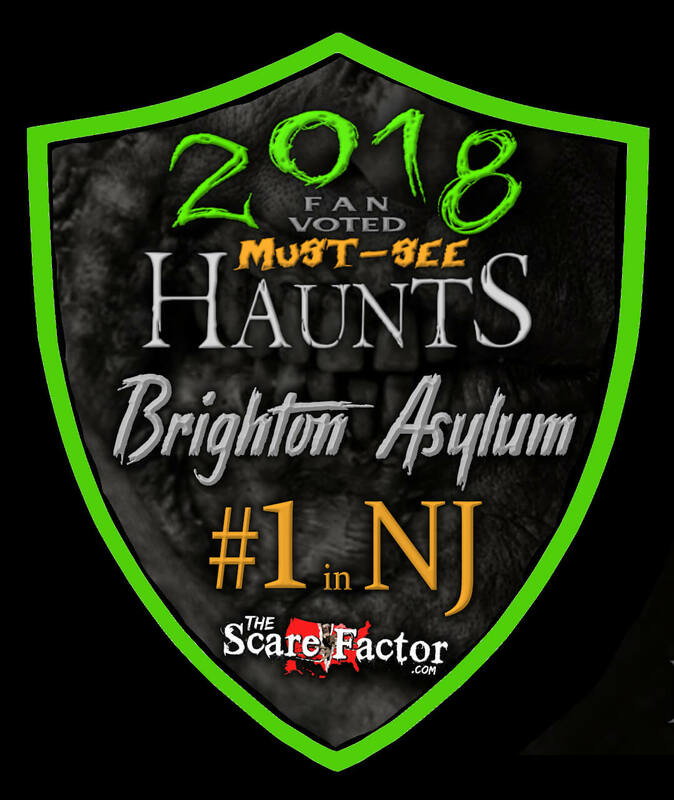 Brighton Asylum opens up for multiple off-season events throughout the year, each with a different theme, so trying to change the rooms to fit the theme each time is a bit difficult for the staff and not very practical. Having the clowns take over the asylum was a good way to change up the theme without having to revamp every room. The event we went to was “Clown Asylum” and it certainly lived up to its name! Clowns to the left, clowns to the right, even clowns above. Though not exactly “original,” a clown theme taps into some peoples’ deep-seated fear and hatred of these face-painted frighteners. The ending of the haunt used something I’d never seen before, which was being followed by a chainsaw-wielding clown. This is usually very effective as a last scare and it proved its effectiveness by causing a guest to run for her life out of the haunt right past us! The special effects and actors did a great job at scaring the guests. We are a bit hard to scare, ourselves, but they even got us a few times, so that gets them bonus points. 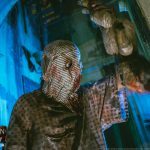 There was a nice variation between the types of scares utilized, including jump scares, creep-ups, subtle, simple scares, and even some giant puppets attacking from the darkness. A few were predictable, but were usually followed up with something unexpected, creating some good distractions for the real scares. The haunt took somewhere between 20-30 minutes to get through, so with a ticket price of $25 for general admission, you get about a dollar’s worth of scares per minute. The number of rooms is pleasantly surprising for the price, and we have been told that they are expanding for the upcoming haunt season. They are planning to change up some of the features, add more rooms and who knows what else by the time September rolls around. They offer group rates of $20/person for groups of 20 or more, as well as a FastPass tickets for $45. You can use online codes to get $5 off the ticket price as well.